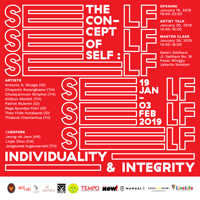 Arcolabs, a visual art community supporting engagement and growth of arts in Jakarta, invites you to attend The Concept of Self: individual and integrity. 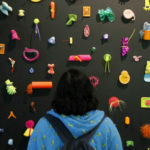 This exhibition is part of a continuous effort to explore the idea of self by young artists in Indonesia and Thailand. 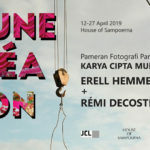 Following its first exhibition in 2017 in Thailand, this second edition features works that look into the influence of Indonesian and Thai political-cultural shifts in the 1990s on the development of the artistic self and integrity as a member of society. 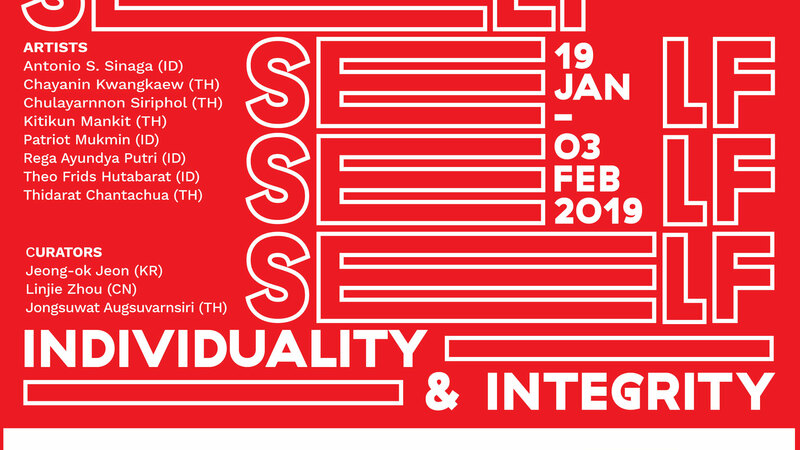 The Concept of Self: individual and integrity is currently showing at Galeri Salihara in Jakarta until the 3rd of February 2019. There will also be a Master Class from 2-4 PM on 26 January 2019. 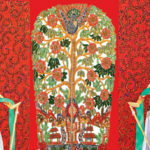 For more information on the exhibition and class, click here. 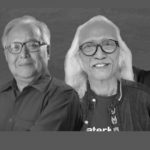 On Wednesday, 23 January 2019, come to Museum Macan to be part of the discussion Macan A to Z: Jiwa Ketok. 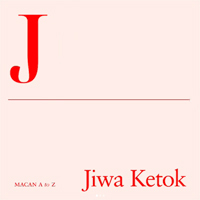 ‘Jiwa Ketok’ is a concept that is first coined by S. Sudjojono, one of Indonesia’s modern art figures. 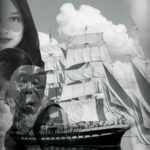 In this 40-minute discussion, you’ll explore the concept of ‘Jiwa Ketok’. What exactly is ‘Jiwa Ketok’? 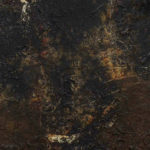 And how is it influencing Indonesian art practices. 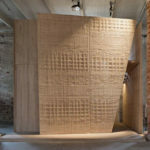 To sign up for the discussion, go to museummacan.org/tickets. To learn more about Museum Macan events, visit the museum’s Instagram account here. 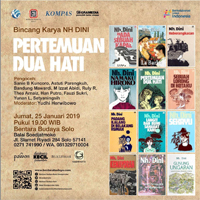 Indonesia lost one of her beloved authors, N.H. Dini on 4 December 2018. To celebrate her works, Bentang Budaya and Balai Soedjatmoko Solo invite you to attend a discussion on her works, titled “Pertemuan Dua Hati”. In her life, N.H. Dini had written many columns, short stories, novels, and poems. 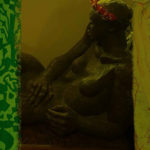 She also had much involvement in the arts through the art collective she created. 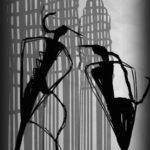 This discussion aims to gather and bring together readers of N.H. Dini’s works from various generations and various parts of the city and country. 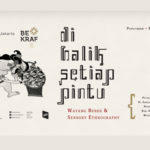 For more information on “Pertemuan Dua Hati”, click here. 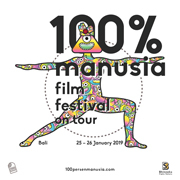 The 100% Manusia Film Festival is on tour in Bali and will be screening films at 4 different venues in Denpasar, Sanur, and Ubud on Friday and Saturday this week. The 100% Manusia Film Festival (100% Human Film Festival) aims to facilitate changes in society by raising awareness through the films. 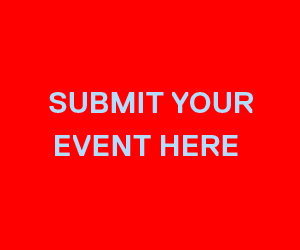 To get the schedule, venue, and information about the films screened, visit http://100persenmanusia.com.